Almost everything will work again if you unplug it for a few minutes …including you. It is funny, isn’t it, that we need to consciously work at pulling the plug on technology in our lives? My Mother is almost 90-years-old. Imagine the progress she has seen in her lifetime. Her first house as a married woman did not have indoor plumbing. She stored the baby formula by hanging it down the well to keep it cool. She does own a cell phone now and has an account on Facebook. Yet, she is in control of the electronics; they don’t control her. She responds when it is convenient for her. No one expects any different. Who doesn’t love the ability to have access to information, entertainment and people whenever we want? I’ll admit – it’s great and I find it very useful. It’s not that the world should go black. It’s more that we should make the choice – with deliberate intent – when it interrupts our life and when it does not. Play with this – set time slots during the day – or even declare one day of the week as a day when you do not attend to it. I’m serious – to email; phone calls; texts; requests of any kind. Doesn’t that sound just lovely? People will respond accordingly (do they have a choice?). When you set limits, you may unknowingly inspire others to do the same. Quite often, when we see others do what we truly want to do, it grants us permission to do it for our self. When I want to rest and write, The Olive Branch Retreat is where I go. There is no internet, phone lines or television programming and plenty of nature. Without the option of technological distraction – grounding oneself; connecting with others and writing from the heart becomes more of a possibility. 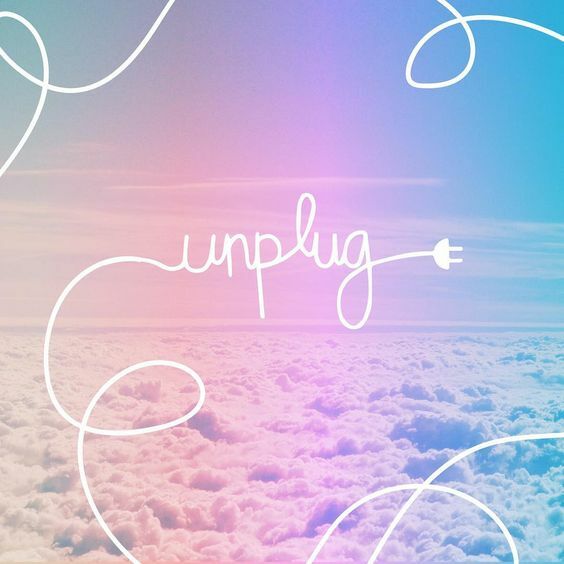 …And God declared, “let there be a day of unplugged tranquility” and he saw that it was good.